Posted on April 11, 2017 at 2:25 pm. Columbia County, OR- Columbia County has a habit of celebrating Earth Day with several clean ups in our communities. This year they are scheduled on Saturday, April 22nd. You can get involved by volunteering, cleaning up your property or even donating new and gently used residential building materials, home furnishing supplies. Organizations like SHEDCO (St Helens Economic Development Corporation) have partnered with SOLVE Oregon to help make our community a beautiful place to live. In rural communities like ours, it takes a group of volunteers working together to make a difference. You can get involved by registering at http://www.solveoregon.org/get-involved/events/shedco%E2%80%99s-4th-annual-spring-cleanup. The 4th Annual SHEDCO Clean Up starts down at the Courthouse Plaza in St.Helens from 9:00 AM-1:00 PM. Some of the volunteer tasks include picking weeds, trash pickup, sweeping, and flower planting. Volunteers are encouraged to bring a few tools and gloves if they have them. You can volunteer for an hour or two. You decide. There will also be fun activities for kids like face painting and free pumpkin starts while supplies last. Light snacks and beverages will be provided after the work is done to celebrate Earth Day. 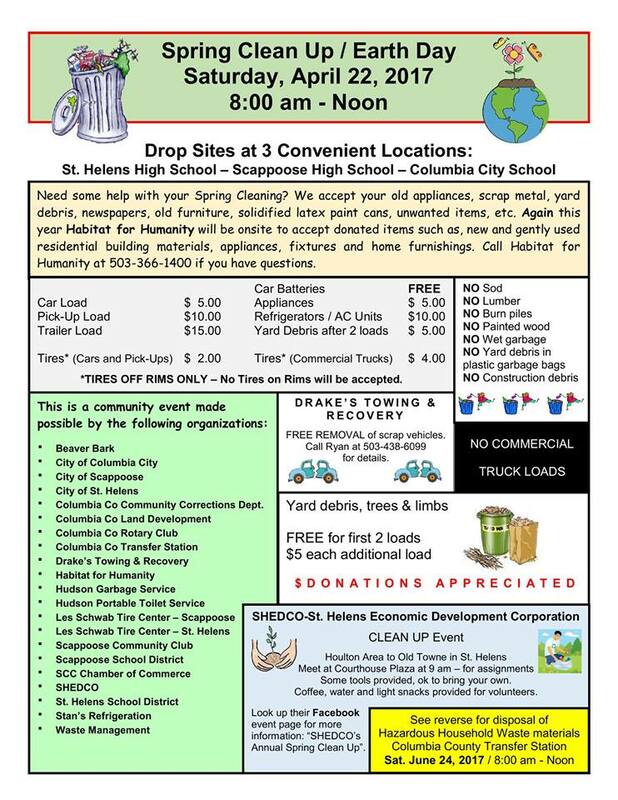 Citizens are also encouraged to bring their unwanted items, yard debris, scrap metal, appliances and more see the flyer below for details for Spring Clean Up. You can also bring your new and gently used residential building materials, appliances, fixtures, and home furnishing picked up by local nonprofit Habitat for Humanity at three convenient locations: St. Helens High School, Scappoose High School, and Columbia City school. Drake’s Towing & Recovery is available for FREE Removal of your scrap vehicles, Call Ryan 503-438-6099. 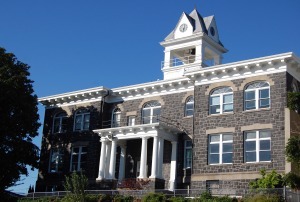 St Helens, OR- New to Columbia County or just recently retired? Are you looking for specific resources, business services or things to do? Want to volunteer but not sure where you should? Looking to get involved with a local service club? Or are you curious what is going on in your community and want to get involved? A one-stop shop, a countywide business directory called Keep it Local Columbia County can help you discover what is available countywide. Keep It Local Columbia County is an on-line new resource to connect Columbia County. Other resources for nonprofits and social media groups are helpful to discover all the great things we have going on here in Columbia County. Columbia County has over 100 nonprofits to serve the citizens of Columbia County. You can find an updated list from Community Action Team (CAT). Go to Columbia County Resources. This is a great tool whether you are new or a long-term resident. You can also find places to volunteer by researching this information. You can contact the South Columbia County Chamber of Commerce/Visitor Center at 503-397-0685 should you have questions about local businesses, travel questions or things to do in St. Helens and Scappoose. 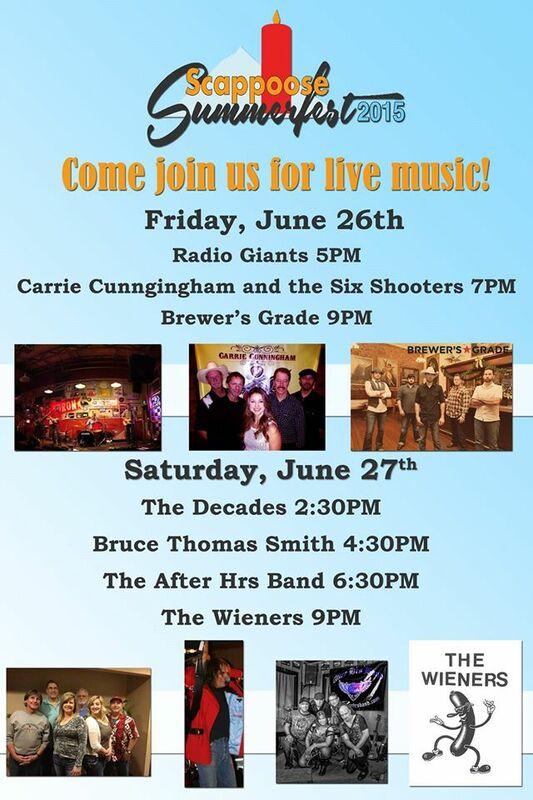 You can also find a list of both business and community events on their website. Posted on March 11, 2015 at 2:53 pm. Do you like to garden? Have a garden and need plants? Just have a few questions? We have some great resources here in Columbia County to help you get started if your new to the area or starting a garden. Want classes? Check out OSU Extension Service Gardening Classes and Resources for Columbia County. You can also contact Columbia Soil and Water Conservation District Weed Control program on what is a weed and what’s not. Get your questions answered call Tyler 503-397-455 ext 104 or email tyler. joki@columbiaswed.com. Posted on February 24, 2015 at 3:33 pm. 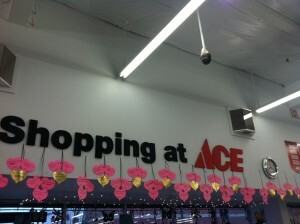 St. Helens, OR – Have you noticed all the hearts hanging up at the local businesses? You can find them at Columbia River PUD, Ace Hardware, & Houlton Bakery to name a few. They are gold or pink. 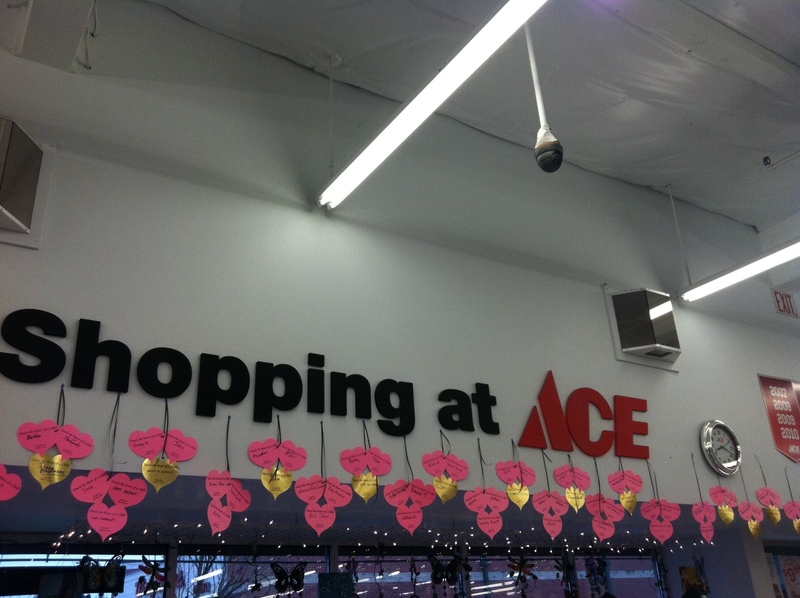 The hearts are sold by local businesses for the Sacagawea Health Care Center which is a nonprofit here in Columbia County. Sacagawea Health Care Center helps all children get the health services needed weather insured or not to be successful in school. The Sacagawea Health Center is located at Lewis & Clark Elementary School, 1060 Eisenschmidt Lane, St. Helens, OR. Posted on February 10, 2015 at 3:17 pm. St. Helens, OR- The people outnumbered the puppies on Saturday February 7th, 2015 at the Columbia County Fairgrounds Pavillion to raise funds at “Denim & Diamonds” Dinner, Auction & Dance for the Columbia Humane Society. But who can resist holding a little one, so I would say the puppies surely stole the show. Columbia Humane Society is an independent 501(c)(3) non-profit organization who does not receive funding from any national or state animal welfare group or government agency. Their operations rely solely on income from their members, donors, small grants & fundraising events. How to Support Columbia County Humane Society? Dean Cox, Executive Director, Columbia Humane Society, & Hayden, a volunteer, who helped showcase the puppies. 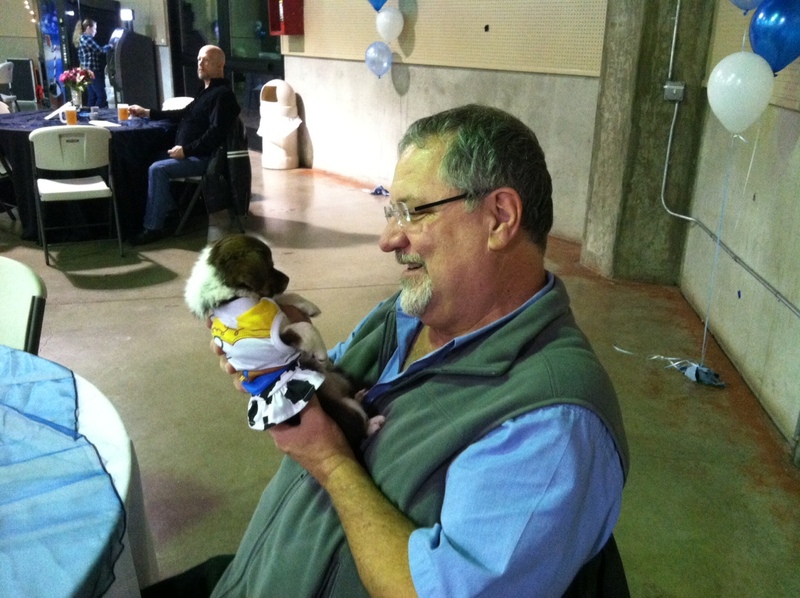 The puppy, Jesse, stole this attendees heart during the Fundraiser. Posted on June 10, 2014 at 9:15 am. ST. HELENS — The theme for the 2014 Columbia County Fair and Rodeo is “Country Roots and Cowboy Boots”. Darci Solimine of St. Helens submitted the winning idea for the theme. 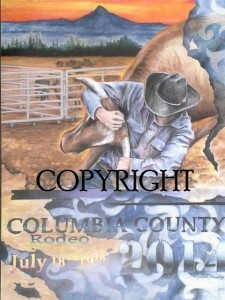 The Friends of Columbia County Fair are selling event posters for $5 each (see image). 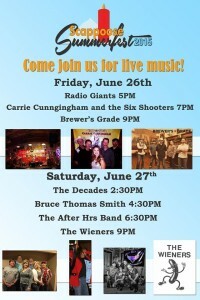 Proceeds from the sales will benefit the fairgrounds. Posters from previous years are also available. Clean-up volunteers are needed during fair week. Applicants must be 12 and older and available for morning or afternoon shifts. Those who work one shift will earn a meal ticket. Those who work two shifts will earn a meal ticket, plus a one-day pass for carnival rides. Details: Message Amanda McFeron via Facebook. Superintendents for the art and floral open classes also are being recruited. People who have knowledge of different types of art, or in multiple types of horticulture, are encouraged to apply. Applicants must be available July 12-20. Superintendents will be paid for their time, and given free passes to the fair. Details: e-mail Megan Bluhm at meganbopenclass@hotmail.com. For more information, click on our previous post here, or call the fair office, 503-397-4231, e-mail info@columbiacountyfairgrounds.com, or visit the website www.columbiacountyfairgrounds.com. This year’s fair will be from July 16-20 at the Columbia County Fairgrounds, 58892 Saulser Road, St. Helens. Posted on November 24, 2013 at 7:39 pm. SCAPPOOSE — Have your pet’s photo taken with “Santa Paws” at All About Pets, 52587 Columbia River Highway. 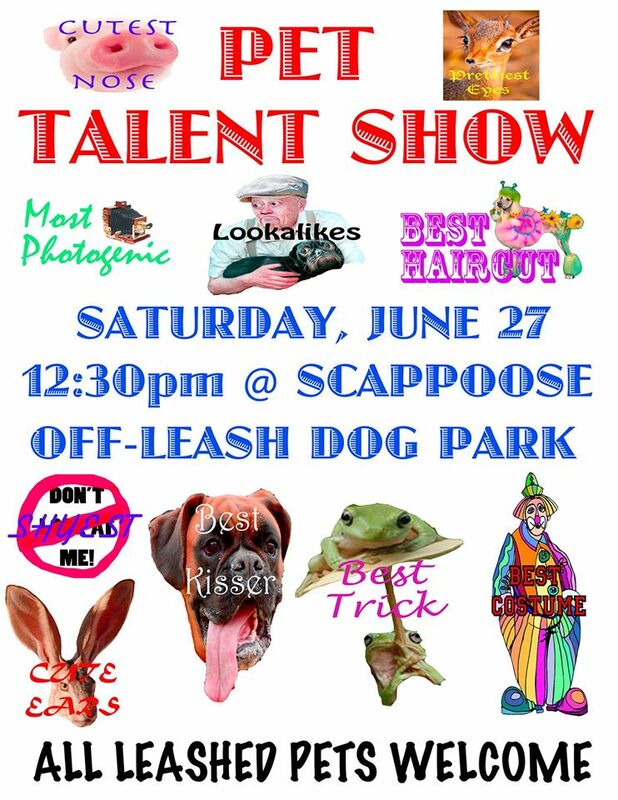 The annual event will be from 10 a.m. to 4 p.m. Sat, Nov. 30, and 11 a.m. to 4 p.m. Sun, Dec. 1. Photos taken by Jeff Baker Photography. Details: 503-543-5740, or visit their Facebook page by clicking here. ST. HELENS — The McBride Elementary Parent Teacher Organization seeks vendors for their bazaar on Sat, Dec. 7. 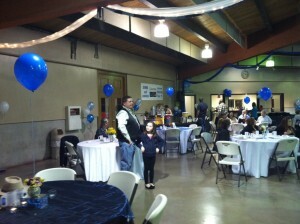 The event is a fundraiser for the PTO. Space is $20 a person, plus $5 if a table is needed. 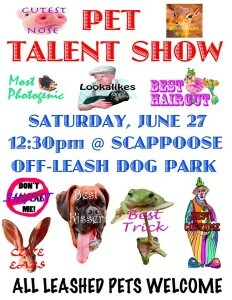 Proceeds go toward the purchase of new playground equipment for the school. ST. HELENS — Richardson’s Furniture at 2015 Columbia Blvd. will offer free pictures with Santa from noon to 4 p.m. Sat, Dec. 14. 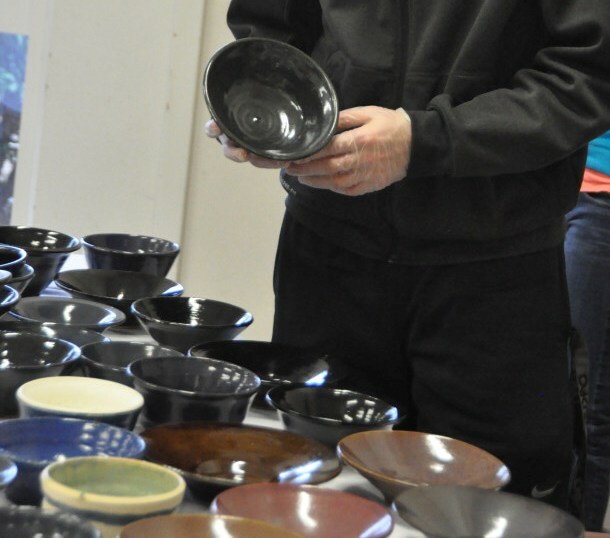 The annual event is offered alongside a holiday bake sale that benefits Relay for Life. Richardson’s will provide a photos service, however, visitors also are welcome to bring their own cameras to use. Details: 503-397-1329, or visit their Facebook page by clicking here. ST. HELENS — The Saint Helens Kiwanis Club has placed food collection barrels at various locations around town for use in their Holiday Hope baskets. People can drop off non-perishable food items at Chubb’s Shell, Columbia River Fire and Rescue administration office, Habitat for Humanity Restore, IGA/Red Apple, Les Schwab Tire Center, Oregon Trail Lanes, Port of St. Helens administration office, Richardson’s Furniture, Safeway, Skinny’s Texaco, South Columbia County Chamber of Commerce, and Sunshine Pizza. Details: visit their Facebook page by clicking here. Posted on July 28, 2013 at 1:14 am. 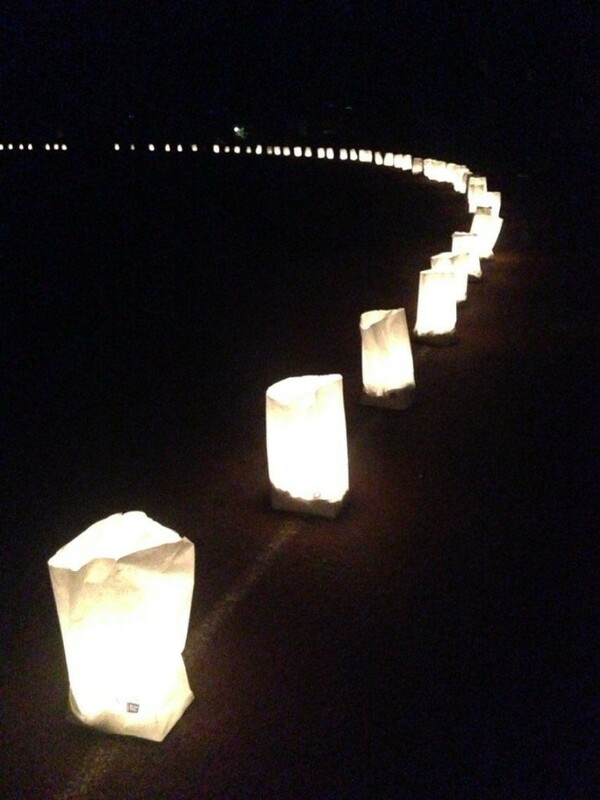 Bags are lit in memory or honor of a friend or loved one who has been affected by cancer during the Luminaria portion of the Relay for Life event at St. Helens High School. Photo courtesy of Annie Davis. ST. HELENS — Hundreds of people from Columbia County are showing their support of those affected by cancer during the annual Relay for Life event at St. Helens High School. This year’s event began at 10 a.m. Saturday and will continue through 10 a.m. this morning. Relay for Life is an annual fundraiser for the American Cancer Society. According to the organization’s Web site, so far this year 389 participants from 27 teams in our community have raised $75,462 for cancer research and outreach and educational programs.